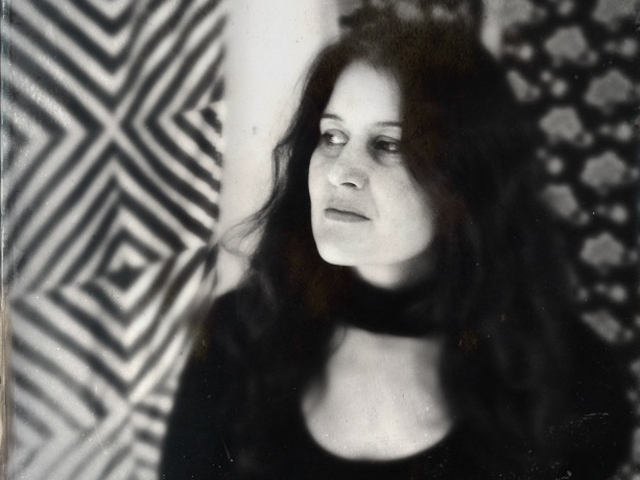 Paula Cole frees herself with "Raven"
Paula Cole was class president in school. She has been a band leader. So, it's not too much of a stretch to see the Grammy-winning singer-songwriter at the helm of a Kickstarter campaign that helped fund the release of her new album, "Raven." Cole, who's behind such hits as "Where Have All the Cowboys Gone?" and "I Don't Want to Wait," topped her initial crowd-fundraising goal by 150 percent, raising enough money to release "Raven" on her own label, 675 Records. "It brings out the leader in you," the Massachusetts native said about self-releasing her 2013 release. "I think it's pretty healthy. I have more plates to spin -- and more multi-tasking [to do]. Which I don't know if I'm so good at that. But you have more control. On one hand, it's more work. But it's not like I'm Beyonce. So it's manageable." Beyonce she is not, but Cole has spent her own time in the spotlight, swooping up the best new artist Grammy in 1997. "The '90s happened, and my star rose really quickly...Believe it or not, I test very highly as introvert. But I love music, so I do this. And there I was with my introverted self in the spotlight, which I don't think I could handle very well quite frankly." After releasing 1999's "Amen," Cole took some time off from the music industry. "I really longed for a child. I did. I attained a dream and it felt a little empty. And I wanted to share my path with somebody...somebody was calling me -- and it was my daughter. So I had her and life happened. She had health problems we had to get over. I had a divorce and a couple of moves later, I find myself finally back in a healthy and settled place where I could be productive again." In 2007, Cole re-emerged to release the album, "Courage" and has been making music again ever since. "Ithaca" followed in 2010 -- and now there's "Raven." "Now I'm back. It's a different business, of course and it's a different career," she said. "I've got my daughter and my personal life is really good."